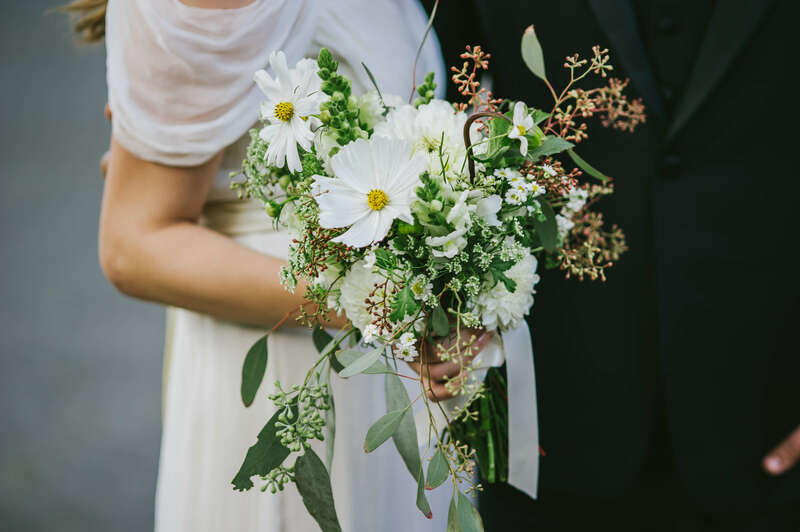 Getting married at City Hall is SO New York, let us complete your day of look with a bouquet of seasonal blooms that will add that special something something to your laid back nuptials. This bouquet is created with the seasonal flowers and greenery already in stock at our shop location and is designer’s choice, meaning we can’t guarantee a specific palette or flower selection. Don’t fret, it’s still going to be stunning! We will send you an invoice for payment. Availability of specific flowers varies throughout the year. To keep prices economical we will be using market fresh florals. Photo examples are meant to show size, style and diversity of florals. Also, which do you prefer? I agree to allow the designer full creative freedom and the flower power to design with market fresh flowers of their choosing with the consideration of what was selected above!